2 iPhones Receiving Same Text Messages, How to Fix? If you are an iPhone user, you probably have encountered a situation where two different iPhones receive the same text message even though the text message was intended for only one iPhone. The situation looks like you have sent the same text message to two different phone numbers. We will help you fix this issue that 2 iPhones receiving same text messages in this article. But, before we fix it, let’s know why this happens. Luckily, though, we're here to give you some solutions to iPhone keeps switching to silent. But, before we do that, we must remind you to try a little trick which fixes an abundance of iPhone problems – restart your iPhone. If the problem still persists, then you can try these methods. Why Are 2 iPhone Receiving Same Text Messages? 1. Why Are 2 iPhone Receiving Same Text Messages? This situation arises when the 2 involved iPhones are using the same Apple ID. Also, instead of using just the individual phone number, the messaging app uses Apple ID to receive messages from others who use iPhone. 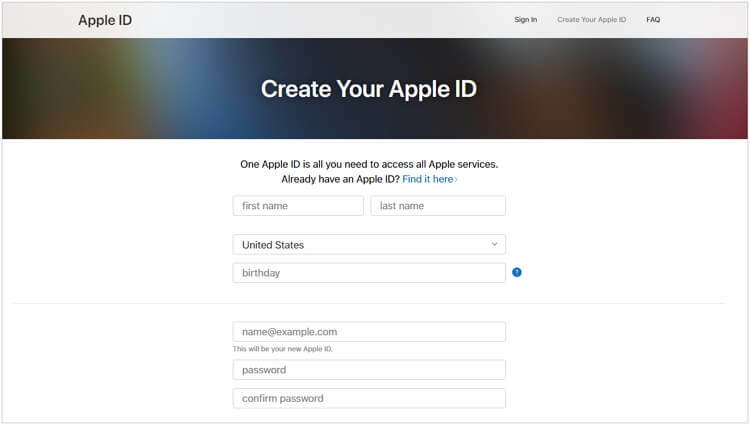 Step 1: Visit https://appleid.apple.com/ and create a new Apple ID. Step 2: Open Settings on one of the two iPhones. Tap on Messages and then Send & Receive. Step 3: Tap your current Apple ID and Sign Out. Step 4: Then tap Sign in and enter your new Apple ID. Step 5: Visit Settings again and tap on Facetime. Step 6: Tap your current Apple ID and Sign Out. Step 7: Tap on "Use your Apple ID for Facetime". Step 8: Enter your new Apple ID. Then it is! 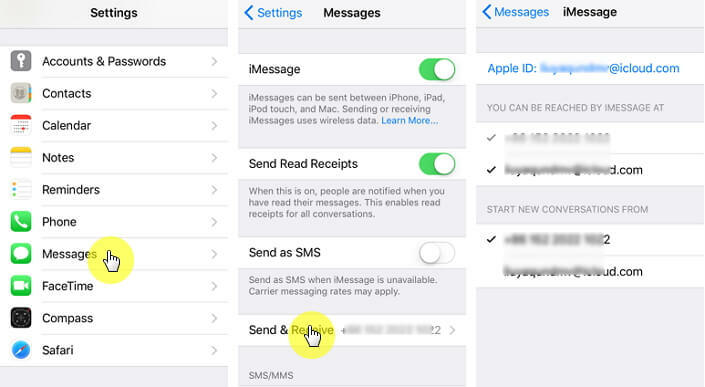 The iPhone is using its own Apple ID for now and it won't receive the same messages which are for another iPhone. Step 1: Go to Settings. Tap on Messages and then Send & Receive. Step 2: Uncheck the iCloud account or other phone number under YOU CAN BE REACHED BY IMESSAGE AT. Make sure that only the option of your phone number checked. 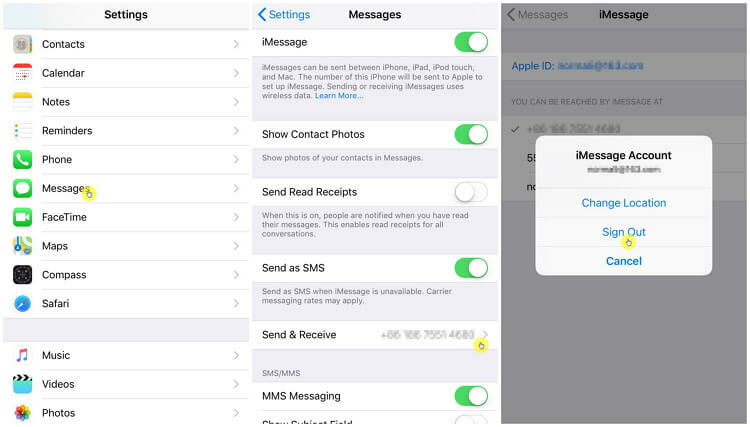 Then only the iPhone using the checked number will receive the messages, even the 2 iPhones using same Apple ID. Before trying to fix the issue that 2 iPhones receiving the same text messages, you need to back up your messages on your iPhone. Things might go wrong during the fixing process and you may lose your messages. 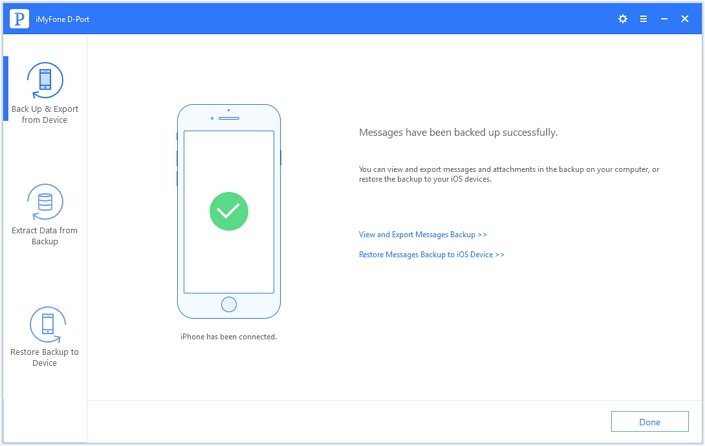 If you had backed up your messages, you can get them back quite easily. Since both iTunes and iCloud cannot back up messages only, we recommend iMyFone D-Port to you. This is a third-party tool that allows you to back up data on iPhone and export 18+ data types from all your iOS devices. 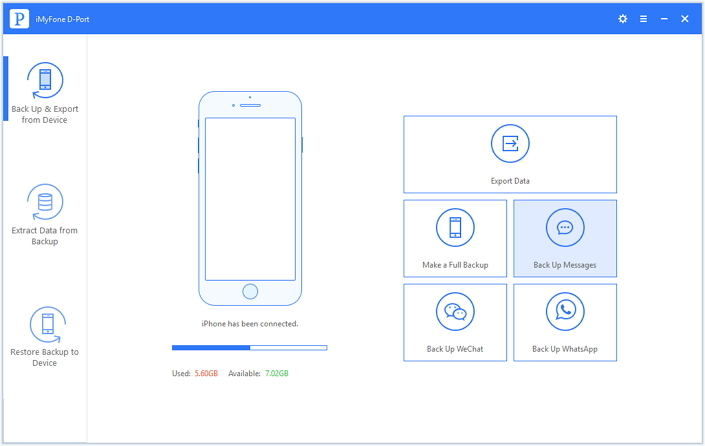 Using this tool, you can back up either your whole device or your messages only. 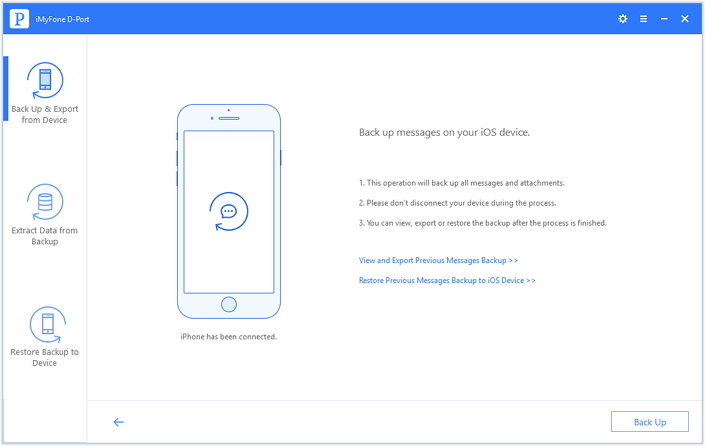 How to Back Up Messages on iPhone via iMyFone D-Port? Step 1: Run iMyFone D-Port on your computer and connect your iPhone to the computer using a USB cable. Step 2: On the left panel, select Back Up & Export from Device and then, Click on Back Up Messages. Step 3: Click the Back Up button. iMyFone D-Port will start to back up the messages and iMessages on the iPhone. Step 4: Don't disconnect your Device for the backup to complete. Then you will have a backup for messages only and you don't worry about any data loss during fixing 2 iPhones receiving same text messages. If you have been receiving same text messages on two iPhones, the methods outlined in this article should help you fix this problem. Before attempting the solutions, you should back up your messages. iTunes and iCloud can't back up Messages only. The best tool that can back up messages only is iMyFone D-Port. Try the FREE Backup tool for now!